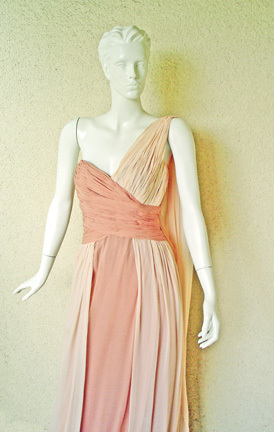 An ethereal grecian style one shoulder draped creation by noted Hollywood costume designer, Nolan Miller. Known for his lavish and extravagant creations designed for a celebrity clientele. 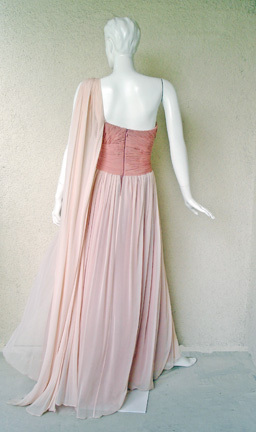 Gown fashioned of a combination of pale blush pink and dusty rose silk chiffon. 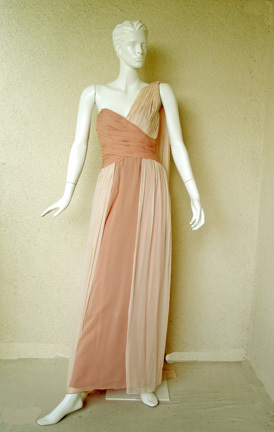 Hand ruched criss-cross bodice.extending into a fluidly draped two-tone skirt. 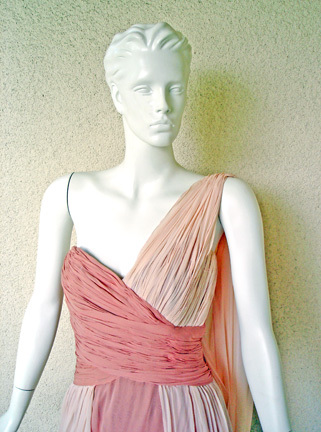 One shoulder treatment has attached extended long scarf. Beautifully designed with expert detail and tailoring. 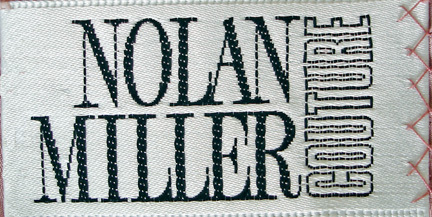 A Nolan Miller Custom Couture creation. 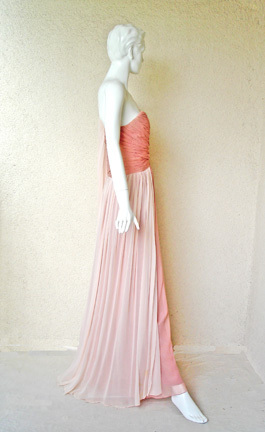 Bust: to 38"; waist: 28"; hips: 38"; length: 60"